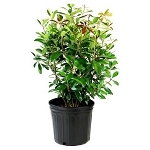 MATURE PLANT SIZE: Approx. 2 ft. X 2 ft. 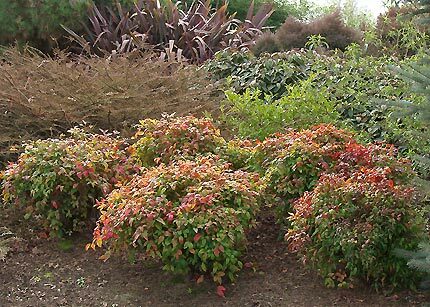 The Firepower Nandina is an evergreen shrub that has a mounding growth habit. 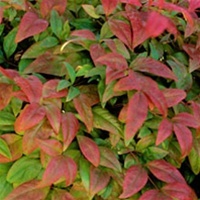 It has a beautiful bright lime green color on new growth in spring, darkening somewhat throughout the season - ending up in the fall with a dazzling display of bright, fire-engine red foliage all over. 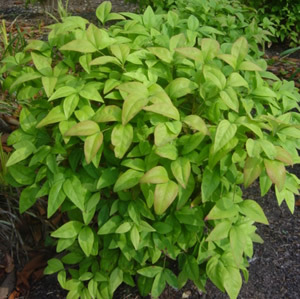 Excellent landscape plant.